Several years ago, Benoit Guénard decided that he was interested in knowing where one kind of ant could be found. Another ant biologist asked. Benoit didn’t know. The other ant biologist didn’t know. Benoit is not the sort of person to let a question go unresolved. Questions boil in his brain sometimes and this was one of those kinds of questions. 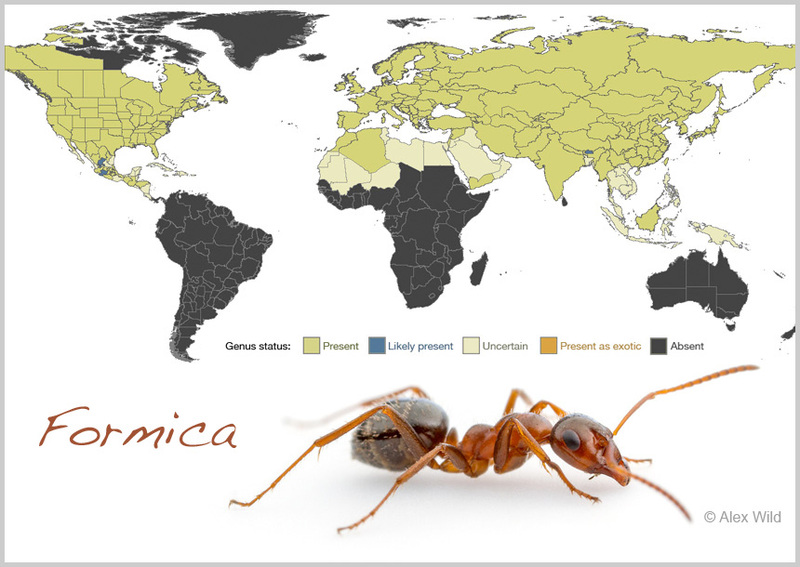 And so Benoit set about to understand where ants of the genus Formica could be found. But the problem was he did not seem to be able to find an answer and so he set out to systematically go through the literature to see where the genus had and had not been documented. The result was the best map in the world of the genus Formica, but while making this map another thing happened. Benoit started to become interested in other ant genera. You can see where this is going. 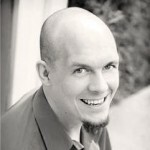 Soon Benoit found himself knee deep in old papers and books documenting the distribution of every ant genus on Earth. Normally, this is the kind of thing that an advisor should discourage, having a student get lost in a project that threatens to consume not only their days and nights but really, quite possibly, the rest of their life. But Benoit wasn’t an ordinary student and before I was really able to think one way or another whether or not this was all a good idea, Benoit had finished a good bit of the work, the work toward a first draft anyway (and, I should mention, Benoit never really listened to me and so had I told him not to do it, well, he would have done more). But more than finish a first draft, Benoit had enlisted a partner, Mike Weiser (at the time a postdoc in my lab). And in the same way that Benoit can dive into questions and get lost, only years later to come up for air, Mike can dive into data, and so soon the two were building the best maps of the ant genera of the world yet to exist. And they did it. Those maps can be found online here. But, of course, the maps aren’t finished. For one, new genera have gone on getting named. 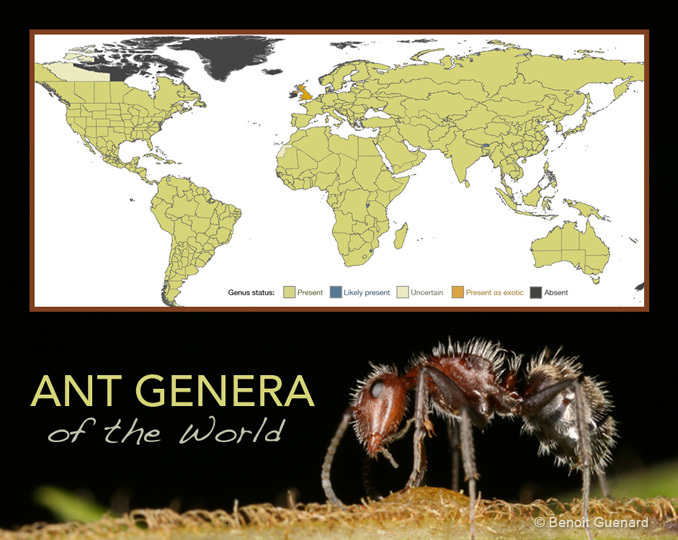 For another, once Benoit and Mike started on the project to describe the distribution of all the ant genera in the world, they wanted to know where all the species were too and once they knew where all the named species were they, of course, wanted to know where all the extinct species were. And so now, while these maps represent a kind of finished product of Benoit and Mike’s early obsession, a useful and fascinating fruit, they are at work on a new kind of product. Benoit is now an assistant professor at the University of Hong Kong and Mike is now a researcher at the University of Oklahoma and they have teamed up with Evan Economo at the Okinawa Institute of Science and Technology Graduate University in Japan, to document where everything is. This, of course, is a foolhardy, grandiose, obsessive, impossible, endeavor, but so too was trying to figure out where the genus Formica is distributed and, after all that Benoit and Mike have done together, I know better than to tell either one what is impossible.